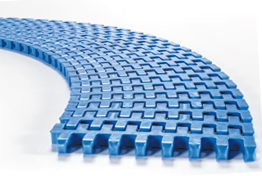 Traditional conveyor belts are often intended for generic use, but the design features of the modular belts are aimed at providing specific processing and application benefits. 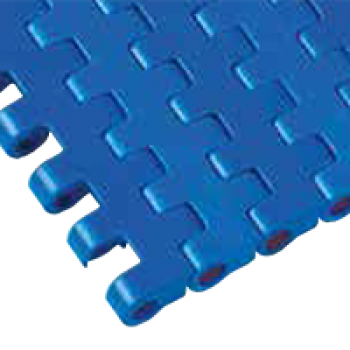 Modular belts are robust and durable and can handle conveying and processing tasks which may not be possible with conventional conveyor belting materials and types. 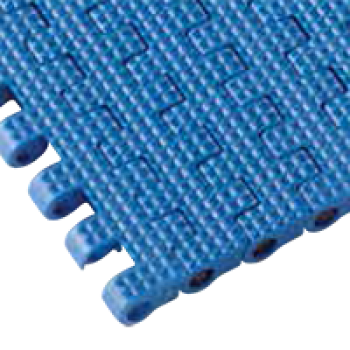 The Plastic Modular conveyor belts can be repaired quickly and easy, have a high resistance to impact, friction, cuts and chemicals. The modular conveyor belts can have different surface options: smooth, perforated, open, grooved, adhesive…Modular belts can be equipped with accessories to meet the using constraints: profiles (straight or scooped), sideguards, rubber-top modules, wheels…The Modular conveyor belts can be straight running or side flexing. 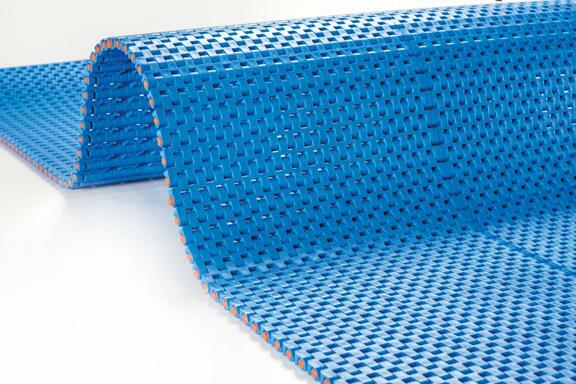 The modular conveyor belts are usually made of Polyamide, Polypropylene, Polyethylene PE, POM-C polyacetal or their variations with different fillers making the modular belt suitable for particular working conditions and industry. When assembled and installed, modular belts are endless, but if damage occurs, individual modules can quickly be replaced, thereby minimizing down time and maintenance costs. Modular belts can be supplied in any length and width and if needed, functional modules can be added at any time so belt properties can be changed if required.